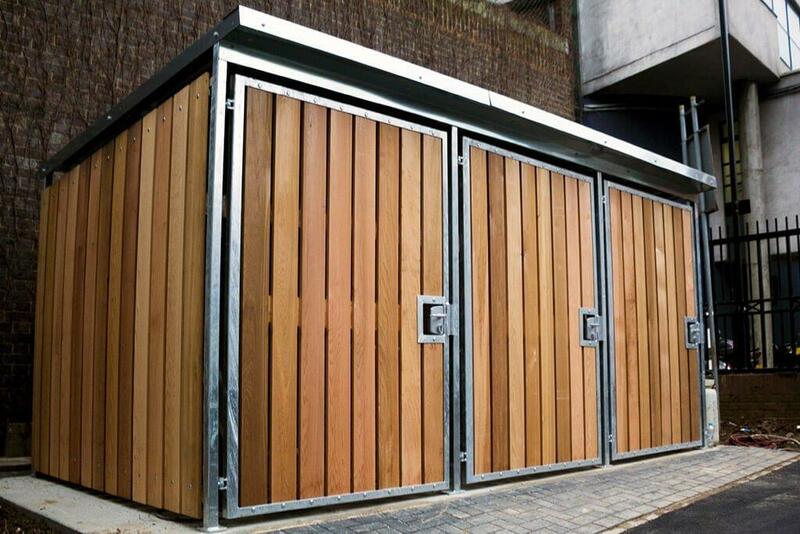 The Cubic is a secure wooden bike shelter, with timber or mesh gates enclosing the unit. 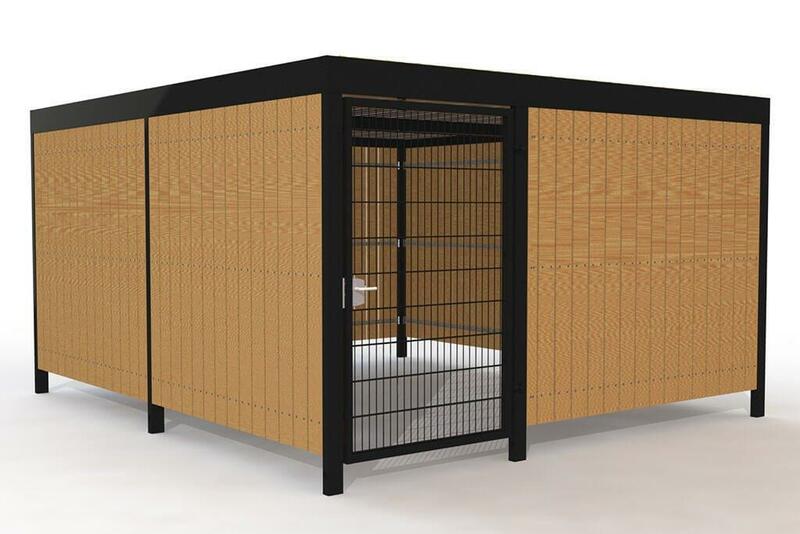 The Cubic is a modular cycle shelter, and can be designed to accommodate any number of bicycles and work within any space. For two-tier storage requirements see the CubicUp. Suitable for storing our bike rack range. Turvec’s wooden bicycle store is available for surface mounting or root fixed installation. 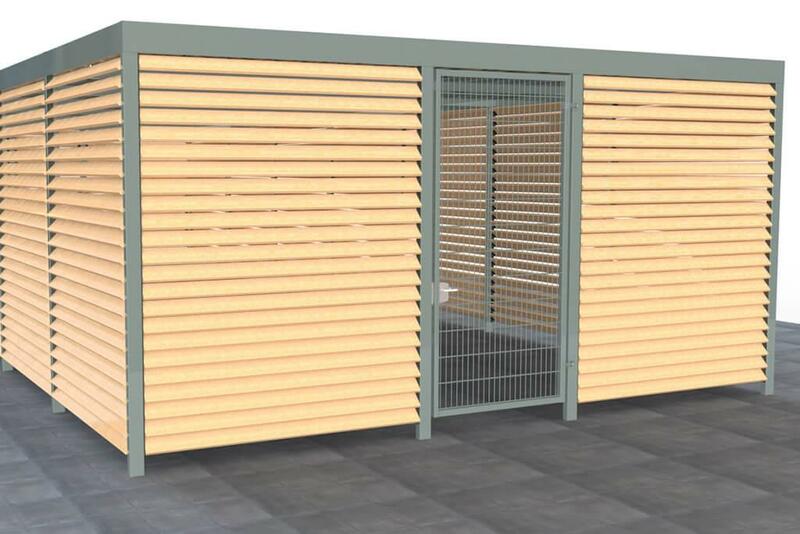 Shelters are clad on site and we can accommodate bespoke timber requests to suit any requirements. 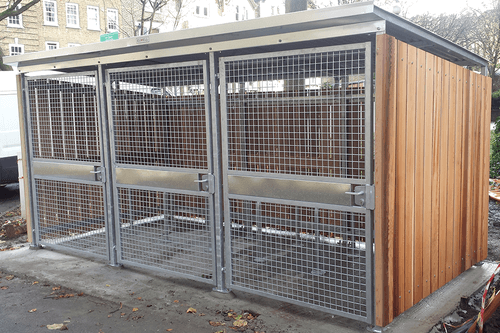 Swing gates or sliding gates can be incorporated on the shelters, to ensure that a secure solution can be incorporated no matter the restrictions of a site. Cubic shelters can be adapted to suit any space or bike storage requirement. Contact us for a design suited to your site. 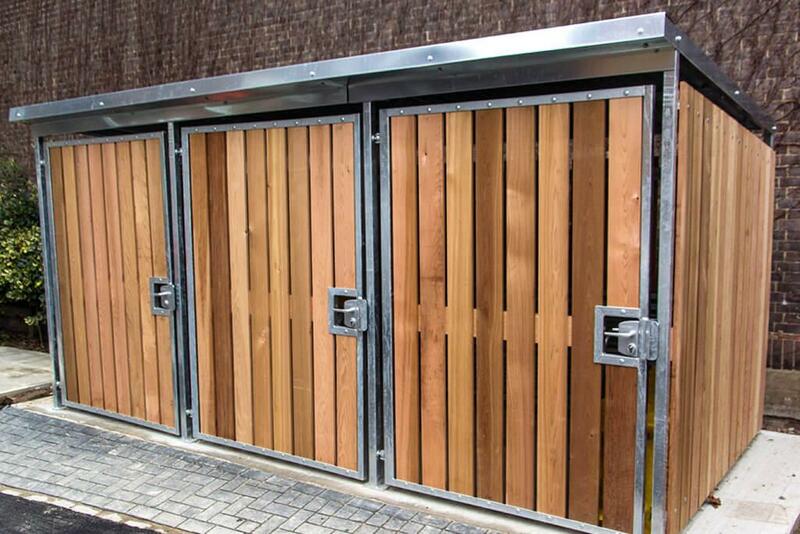 Double-sided variants can create a large compound structure to store multiple rows of bikes, or longer single sided rows, we can also combine the Cubic bike store with bin storage to create the complete solution for some sites.